Day 34 and a bonus day. We had 3 tradesmen working today which was a pleasant surprise since this is Saturday. Richard, the painter, turned up to add a second coat to the walls and perimeter ceiling and to put a finish coat to the hidey / slidey door. He was also able to put a top coat on the pre-finished skirting boards. George, plastics and glass, arrived to put the finishing touches to the partition wall glazing. 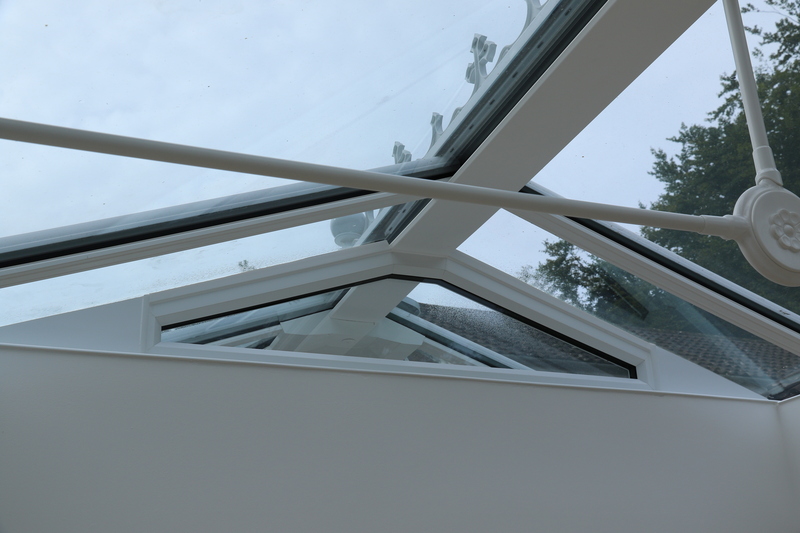 He also installed finishing trim along the top edge of the perimeter ceiling as well as the interior trims to hide the last pieces of the roof framing metalwork. The partition wall glazing is also double glazed !!! Unexpected, but this will help keep the washing machine noise out of the living space. 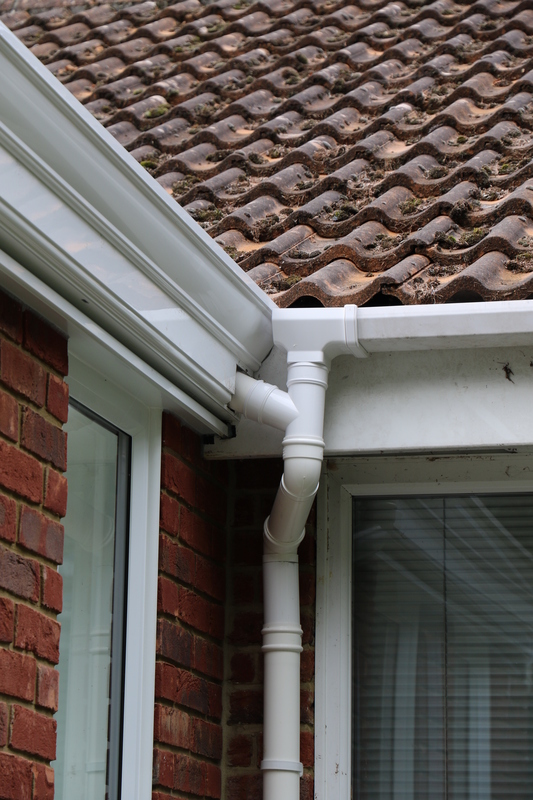 Conservatory – New guttering and existing house guttering are now finished. Looks much better than the temporary fix …. 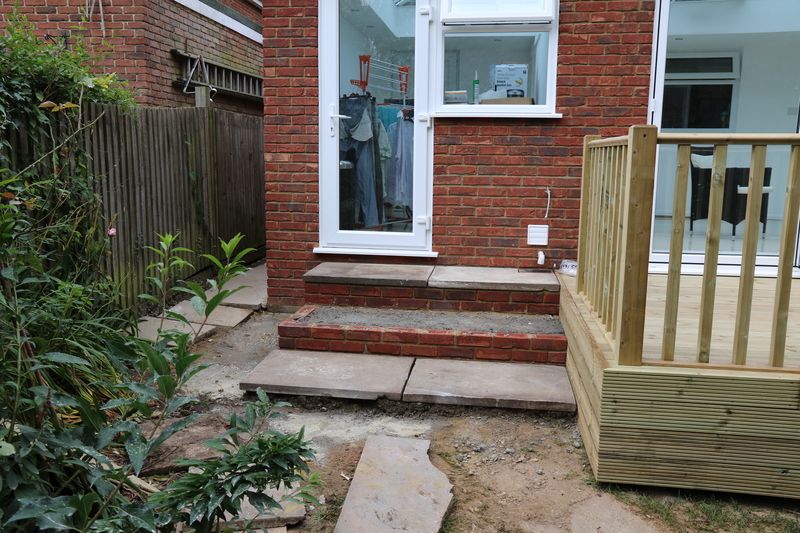 The ever-present Craig, master of all trades was here to build the steps leading to the utility room door and provide the alternative access to the decking. 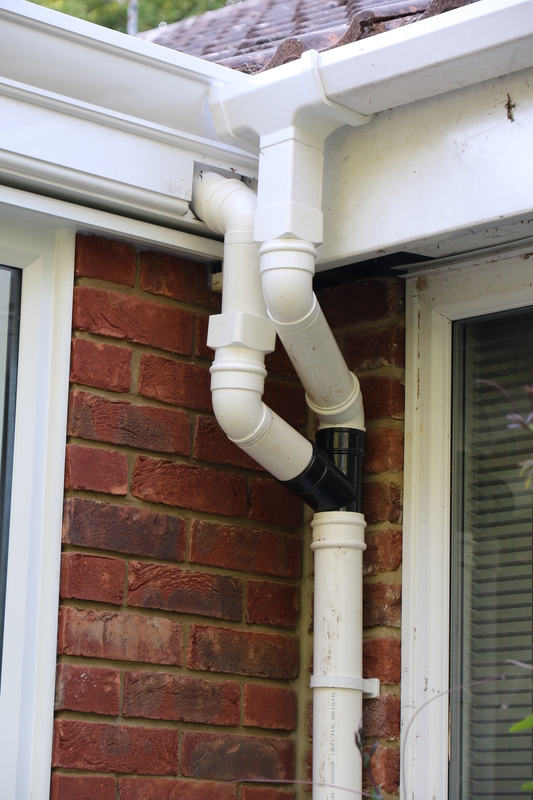 Conservatory – Steps to utility room door and alternative access to the decking. We are still awaiting the radiator for the living space. It transpires that despite our choosing the radiator 2 – 3 weeks ago, it isn’t a stock item but is only available by special order. Has it been ordered ? You guess. So the project is almost complete. Just the steps and the side access paving to be made good. The radiator and skirting to be fitted in the living space, door furniture to be fitted to the hidey /slidey door and then there are a couple of niggley items to do with the finish of the plaster work. It seems to have been a long journey. This entry was posted in Local (To Me !!!) 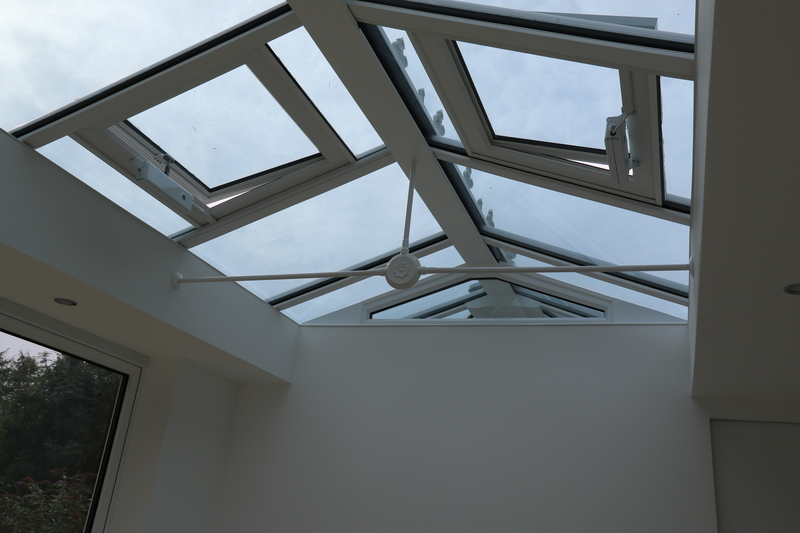 and tagged brickwork, conservatory, Executive Windows, guttering, painter, paving, steps. Bookmark the permalink.